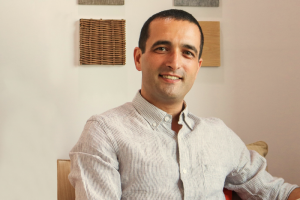 Industry vet Peter Neto has signed up for a second tour with wellness-inspired hospitality group, Fusion, and for another stint in the emerging tourist destination of Phu Quoc, Vietnam. 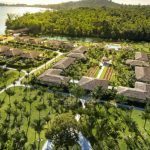 Neto’s most recent role was as GM of The Taaras Beach & Spa Resort in Malaysia but the Portuguese-native, who grew up in Canada, managed Cassia Cottage Resort on Phu Quoc from 2016 to 2017. He has held a special affinity for the island and the people since. For him, it’s not just a return to the island – it’s a return to the hotel group. From 2014 to 2015 he was GM of Alma Oasis Long Hai, then a Fusion-managed seaside property near Ho Chi Minh City. Neto’s career in hospitality began over 20 years ago, having started out as a guest services manager in Canada before taking on key roles in housekeeping and front-of-house & rooms in the UK, Bahrain, and in various countries throughout Asia with groups such as Rocco Forte Hotels and The Ritz-Carlton. Between 2011 and 2013, Neto managed Tanjong Jara Resort and Gaya Island Resort for YTL Hotels in Malaysia. He joins Fusion’s Phu Quoc team shortly after an expansion project at the all-pool-villa property. Thirty-three villas were added to the collection of 97 coastal-inspired abodes. The Maia Spa & Wellness facility also added six treatment rooms to its inventory of 20. A new Kids Club, Beach Bar, and multi-purpose function space opened up in recent months.